Single blossom of the Dogwood tree. The white petals are actually flower bracts. The yellow center holds the tiny true flowers. 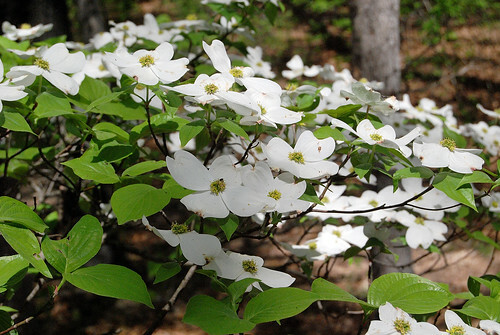 No other flowering tree is more iconic and well known than the Dogwood. 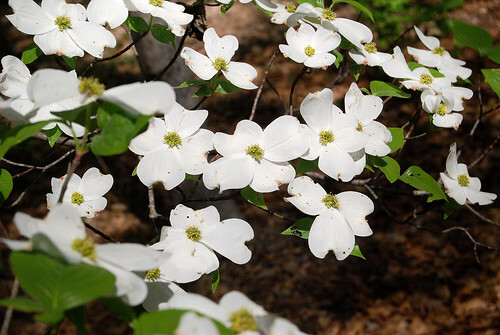 Native to the midwest, cultivated by homeowners, and lauded as Missouri’s official State Tree, the Dogwood is the quintessential indicator of spring in the Ozarks. The white flowers, appearing up to 4″ across, are not petals of the flower. They’re actually bracts which surround the tiny true flowers at the center. Drift of white Dogwood blossoms on a tree in Piney Creek Wilderness in Barry County, Missouri. See how the blossoms on the ends of the branches create a spray of white. 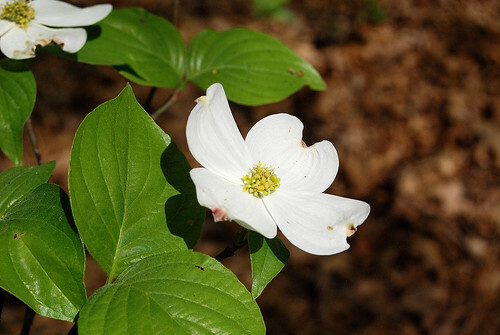 The Dogwood is an understory tree, which means it grows in the clear spaces under the taller trees in our Ozarks forests. In the spring, just as the tiny green leaves are budding on the forest trees, you can see drifts of the snowy white blooms of the Dogwood tree. Normally flowering over a several week period, the Dogwood is the bridge between the bare forest of early spring and the fully leafed out brilliant green a few weeks later. 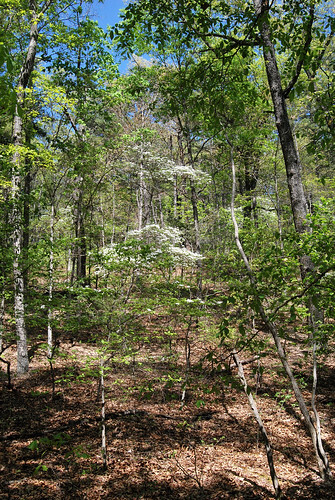 Dogwood tree in the understory of the Oak-Hickory forest in Piney Creek Wilderness. This entry was posted in Trees, Trees in Bloom and tagged Cornus florida, Dogwood, Flowering Tree, Missouri State Tree, Ozarks, Piney Creek Wilderness, Spring, White on April 9, 2012 by Ginger.